Septic shock is a condition that can range from serious-but treatable, to organ failure, or even death. A patient that already has an infection or is susceptible to infection is an easy target for septic shock, which is the most serious manifestation of sepsis. Septic shock occurs when inflammation begins and sets in areas of the body that were not originally touched by the initial infection. This inflammation can cause blood clots that may block oxygen from the body’s internal organs. The inflammations alone is treatable with prescribed drugs, but once the blood clots form and begin to affect the oxygen flow, more drastic measures are often urgently needed. When a patient’s immune system goes into overdrive in this way, it is most usually due to a lack of proper, clean, accurate, and reliable medical care. Cross-contamination of an acute patient elevates the risk even more. This means that a secondary infection is picked up once a person is already in the hospital and receiving treatment for a different infection, injury, or illness. These cross-contamination issues are often the points of malpractice cases across the country, with doctors, hospitals, and nurses blamed for less than immaculate care with patients. Hospital patients – most especially those using invasive devices, such as breathing tubes, eating tubes, or catheters – are very sensitive to septic shock. Those with compromised immune systems, young children, the elderly, and African American patients are also at the top of the list for high risk. Even patients with severe injuries, illnesses, or diseases should be monitored very closely, as their immune system is not functioning up to par. If septic shock does set in, medications and surgeries are the most common treatments. Antibiotics are often successful, as they thin the blood, which aides in alleviating the clots and helps oxygen move through and to the internal organs. If medication does not work, surgery is often necessary to remove the site or sites of infection. Nearly half of septic shock cases end in damaged organs or death. Septic shock is a very serious condition that demands focused attention and quick care. Even though there are certain groups that contract septic shock more easily, no one is completely immune to it. Those who have experienced septic shock in a hospital or clinical setting may be entitled to file a medical malpractice or negligence claim. Those in a situation such as this are advised to contact an experienced medical Malpractice attorney as soon as possible to review their claim. 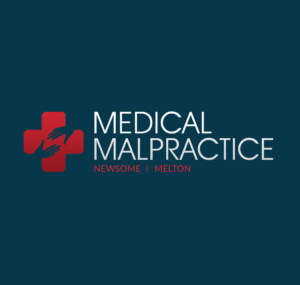 Knowledgeable malpractice attorneys can assist their clients in filing a proper and timely claim, as well as obtaining necessary documentation and evidence.